Machilipatnam also known as Masulipatnam and Bandar, is a city in Krishna district of the Indian state of Andhra Pradesh. It is a municipal corporation and the administrative headquarters of the Krishna district. It is also the mandal headquarters of Machilipatnam mandal in Machilipatnam revenue division of the district. The ancient port town served as the settlement of European traders from 16th century and it was a major trading port for the British, Dutch and French in the seventeenth century. The town has existed since the 3rd century BCE (Satavahana period) when, according to Ptolemy, it was known as Maisolos. The Periplus of the Erythraean Sea calls it Masalia in the 1st century BCE. The port is located on the southeastern, or Coromandel Coast, of India. Situated in the mouth of the River Krishna on the Bay of Bengal, the Masula port saw flourishing sea trade. Muslin clothes were traded by ancient Greeks from the town and the word muslin originated from the name Maisolos. Muslin was an important source of income for the town, being a favourite of Roman traders for domestic consumption. Several Roman coins were found during excavations of Buddhist towns located near Machilipatnam. The town was the district headquarters of the then, Masulipatnam district and now to the Krishna district, which was formed in 1859 in the composite Madras state. The Machilipatnam port served as the principal sea port of the Golconda Kingdom (more anciently named Telingana) from 15th to 17th centuries. Machilipatnam city gets most of its annual rainfall due to the southwest monsoon. It has a tropical savanna climate (Köppen climate classification Aw) with hot summers and moderate winters. The hottest months are between April and June. The average normal rainfall in the district is 959 millimetres (37.8 in). 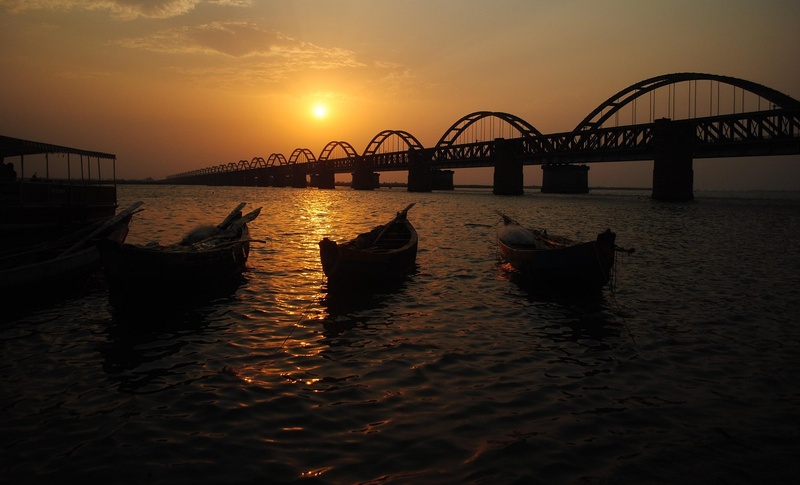 Machilipatnam city is frequently hit by cyclones originating in the Bay of Bengal. The Andhra Pradesh coast between Ongole and Machilipatnam is vulnerable to high surges of the sea due to cyclones. The 1977 Andhra Pradesh cyclone crossed the coast near Nizampatnam and took approximately 10,000 lives. As the storm approached the coast, gale winds reaching 200 km/h lashed Prakasam, Guntur, Krishna, East Godavari and West Godavari districts. A storm surge, 5 metres high, inundated the Krishna estuary and the coast south of Machilipatnam city (Bandar) On 8 December 2004, a high capacity S-Band Doppler cyclone warning radar was installed, commissioned and made operational at the city. It was purchased from a German manufacturer, Gematronik. With the installation of the radar, the state will be better equipped to track cyclones by the onset of monsoon, according to an official from the State Met Office talking to the newspaper The Hindu. This facility will monitor the 960 km long coastline of the state.